We love our pool and spa clients as we have a pool to keep clean! 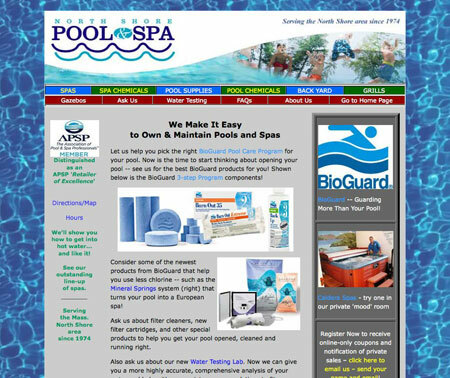 But with our unique knowledge of pools and having worked with pool and spa product manufacturers, we bright some special ability to help retail stores, but also pool builders as well as equipment and chemical manufacturers. To this knowledge we add lots of style and creativity and then the ability to get it done quickly and inexpensively... all while giving good marketing advice.